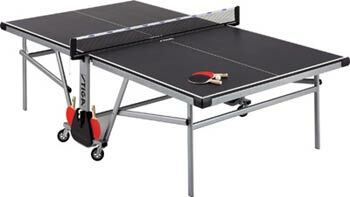 Competitive Edge Products has now fully ventured into the realm of Stiga table tennis tables. 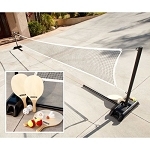 Escalade Sports, the supplier of the popular Goalrilla Basketball Systems, also supplies the Stiga table tennis table. As this is a new product line for us, we wanted to give some general information about these products. We also want to open up the post to anyone looking for information about these table tennis tables so we can get people the best information we can. These tables have several levels of models depending on budget and quality preferences. At the top of the line, the T82201, has been selected as the official table of the U.S.A Open since 1985. This table is USATT approved. Towards the lower end of the spectrum, Stiga also has a series of smaller and lighter tables for the more budget conscious of us. These table tennis tables usually have a price range beginning around $300 or so. The goal of these smaller tables is to provide access to table tennis for just about anyone. We invite anyone to ask us questions concerning these tables. We will do our best to get questions answered as soon as possible. One other thing I found that was interesting was a Stiga paddle cover. I do not know much about this product, but thought it looked cool. 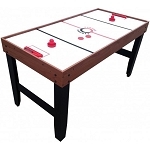 Accelerator NG1016M 4 in 1 Game Hockey, Basketball, Table Tennis, Act.